Have you ever wondered how narrow the narrow road is that Jesus talks about in Matthew 7:13–14? Most of us have discovered that indeed the gate is small that leads to life. We’ve tried our best either with works of self-righteousness or with man-made philosophies to prove otherwise. But we finally came to the conclusion: “Nor is there salvation in any other, for there is no other name under heaven given among men by which we must be saved” (Acts 4:12). We called on the name of Jesus, entered through the narrow gate, and received salvation and eternal life. However, as soon as we walked through the gate, we made the discovery that the road behind that gate was even more narrow than we thought. We started to walk on it thinking it might broaden as we got farther along, but it didn’t. We looked around to see how other Christians were handling this precarious path. To our astonishment, we found out that most people who call themselves Christians had construction crews deployed on both sides of the narrow road working very hard to enlarge and widen it. Believing this lie, we have tried to make the narrow road wider and wider to accommodate all our wants, dreams and wishes. What does all this mean for the unreached peoples of our generation who have never heard the Gospel of Jesus Christ? It means no one cares for them, no one sacrifices on their behalf and no one will tell them the wonderful news of God’s love and salvation. Have we become so self-centered and so insensitive that we can no longer hear the call of Jesus to give up our lives for those who have never heard His name? Even if we still can hear His call, we naturally reject and walk away from anything that requires pain and suffering or that threatens our comfort. Oh yes, we may put a $10 bill in the offering plate when a missionary speaks at our church, and we may donate a sweater for the homeless. But is that the extent of our compassion and personal involvement? If so, our heart is far, far away from the love of God, who willingly went to the cross to give His blood for our redemption. You plus God make a majority. Choose the narrow path—the Son of God left His footprints on it. At the end of the road, you will meet Him. Excerpt from Chapter 7 of Reflecting His Image (ISBN 978159589005X) © 2004 by KP Yohannan, the president and founder of Gospel for Asia. This entry was posted in Reflecting His Image and tagged Christian-living, Christianity, Deeper-life, Discipleship, Dr. KP Yohannan, gfa, Gospel for Asia, Jesus, K.P. Yohannan, KP Yohannan, Spirituality on February 25, 2014 by gfaseo. What is wrong with us? Why don’t we have an intimate relationship with God like Abraham, whom God called His friend? I believe our root problem is that we know nothing about the fear of the Lord that Abraham had in his life. You see, Abraham never considered God as his “buddy” or as a means to get his wishes granted. Most important, Abraham never separated his personal life from his “ministry” or service to the One who called him out of a people of idol worshipers in Ur. He willingly accepted pain, inconvenience and sacrifice in order to worship and serve the living God. When God told him, “Abraham, take your son, your only son, whom you love, and offer him as a sacrifice,” he didn’t tell anyone. He hurt deeply but accepted the pain and followed God’s instructions. To obey the Lord unseen—in secret—is the foundation of genuine godly service. Abraham had a reverence for His God that did not question His purpose, lordship or wisdom. He did not panic at the thought of how all this would affect the future. He responded with complete obedience, loving Him supremely even in the midst of his greatest pain. Just when Abraham was about to slaughter Isaac on the altar, God held him back and said to him, “Now I know that you fear God” (Genesis 22:12). The literal translation of this verse actually says, “Now I know that you are a fearer of God.” God definitely knew beforehand that Abraham would be willing to follow through with this ultimate sacrifice, but Abraham himself needed to know for sure how far his commitment to God would go. And it is extremely important for us to hear, from God’s mouth, the bottom line of Abraham’s obedience: the fear of God. For each of us to build our life, family, future and service on the correct foundation, we too must understand what it means to walk in the fear of the Lord. Luke 2:40 says this about Jesus: “And the Child grew and became strong in spirit, filled with wisdom; and the grace of God was upon Him.” How did this happen? Psalm 111:10 tells us, “The fear of the LORD is the beginning of wisdom,” and Hebrews 5:7 testifies that Jesus had this godly fear during His life on earth. Furthermore, when Paul talks about authentic ministry in 2 Corinthians 7:1, he writes, “Let us cleanse ourselves from all filthiness of the flesh and spirit, perfecting holiness in the fear of God.” We cannot become like Abraham or Jesus without submitting to the fear of the Lord in this manner! But how can we even begin to develop this fear of God, which compels us to obey God just because He is Lord? When God first called Abraham, he had the fear of idol and demon gods in him, but not yet the fear of the true and living God. After all, he didn’t know Him or His nature of righteousness and love. Considering this, God did not tell Abraham at their first encounter that down the road He was going to ask Abraham to sacrifice his son. You see, Abraham first had to grow in his closeness with God and come to a place in which they were very intimate friends before God could entrust to him such a request. A definite start in our quest for the fear of the Lord is walking with Him one step at a time and practicing obedience with a joyful heart and without complaints. Our thinking about our rights must drastically change as well. Actually, we need nothing short of a revelation in our spirit of what it means to be bought with a price—and I believe God will give that to us if we ask Him! Truly recognizing our place and God’s position will place in our hearts the reverence and fear of God that we so desperately need to walk in obedience as Abraham did. 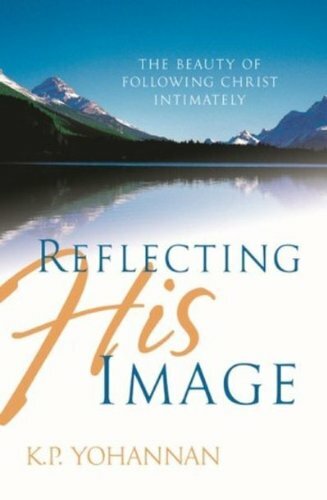 Excerpt from Chapter 6 of Reflecting His Image (ISBN 978159589005X) © 2004 by KP Yohannan, the president and founder of Gospel for Asia. This entry was posted in Reflecting His Image and tagged Christian-living, Christianity, Deeper-life, Discipleship, Dr. KP Yohannan, gfa, Gospel for Asia, Jesus, K.P. Yohannan, KP Yohannan, Spirituality on February 18, 2014 by gfaseo. Many of God’s people have felt a deficiency in their Christian lives, especially when they read God’s expectations for them in the Bible. In order to fix this problem, they have gone from one seminar, book, conference or convention to the next, always looking for a formula or recipe to become a powerful, effective Christian overnight. Churches have also recognized that something vital seems to be missing. In hopes of reviving their people, they constantly come up with new plans and activities. They invite the best music groups they can find, the most eloquent speakers and even prophets to breathe new life into their congregations. But after all the excitement is over and everyday life sets in once again, nothing much has changed. So they search for new plans and new speakers, hoping for better results next time. David had a deep longing to be close to God and to be used of the Lord. He too felt he wasn’t all God intended for him to be. However, his approach to meet this spiritual need was entirely different from most of us. David was a man who didn’t go to one of the prophets—Samuel, Nathan or Gad—to ask for a formula. He didn’t invite them to hold a seminar at his palace with the hope that some of their anointing would fall on him. David simply went into the presence of his God with a prayer that shows he knew exactly where his root problem was. He cried, “Search me, O God, and know my heart: try me, and know my thoughts: And see if there be any wicked way in me, and lead me in the way everlasting” (Psalm 139:23–24). David wanted to be real, not only with his outward actions, but beginning with his innermost thoughts. He recognized that his words and actions were only a reflection of his thoughts, and his thoughts were simply the evidence of what he was really like in his heart. Therefore, David prayed and asked the Lord to try him and to cure those wrong tendencies of his heart that showed up in his thought life. Our problem is not that we lack Bible information, speakers, or opportunities. Rather, our problem is that we don’t want to face the truth of who we really are. We don’t want others to know it either, and we even try to fool God. We never ask Him to search our heart and reveal our secrets. Instead, we pretend with a spiritual life we don’t live, a peace we don’t experience and a holiness and commitment we don’t possess. We will never make any progress in becoming more like Jesus unless we permit God to cut us open, search our hearts, try us, know our thoughts and then change us from the inside. Only then can we become real according to the Word of God. If you truly desire this reality, stop looking to plans and activities as your solution. Begin today to call out to the Lord as David did. Say, “Lord Jesus, cut me open. Please search my heart, try me, know my thoughts, reveal to me who I am, and change me, at any cost, to become what Your Word says I ought to be.” Believe me, there is no prayer the Lord delights to answer for His people more than this one! Excerpt from Chapter 4 of Reflecting His Image (ISBN 978159589005X) © 2004 by KP Yohannan, the president and founder of Gospel for Asia. This entry was posted in Reflecting His Image and tagged Christian-living, Christianity, Deeper-life, Discipleship, Dr. KP Yohannan, gfa, Gospel for Asia, Jesus, K.P. Yohannan, KP Yohannan, Spirituality on February 11, 2014 by gfaseo. When Jesus looked out over the huge crowd of enthusiastic followers during the Passover feast in Jerusalem, He could have been extremely satisfied with His strategy in mass evangelism and the overall success of His ministry. After all, thousands of Jews believed in His name and publicly testified to the authenticity of His miracles. But Jesus was not at all taken by their applause, and He was not impressed by their many words of appreciation. He looked beyond their cheers for Him to the motivation of their hearts. What He discovered there caused Him to make one of the most serious decisions for the future direction of His ministry: “But Jesus did not commit Himself to them, because He knew all men” (John 2:24). He clearly discerned that the majority of His disciples followed Him only for personal blessings such as healing, free food or even forgiveness of sin . . . whatever they could get out of Him. But these were not the qualifications He was looking for in people to entrust with the responsibility of heralding God’s kingdom. Jesus was searching for people who would love and follow Him for His sake, not their own. Out of the entire multitude, He only found 11 who had that kind of heart, and He totally committed Himself to them. He allowed them to observe and share His life, taught them privately and revealed God’s plans to them. No, they weren’t ready to be apostles yet, and they were still going to make a lot of mistakes, but none of these things seemed a major problem in God’s mind. You see, the greatest obstacle for God to entrust Himself to us is our hidden self-love, in even the most spiritual things as well as in our service for Him. If we look close enough, we will discover that 99.9 percent of our Christianity today is based on what we can get out of it: a better family life, good kids, getting out of trouble, restored health, a wholesome lifestyle, a brighter future, security, forgiveness of sin, and finally heaven and the rewards to follow. The question is this: Where are we, and what is our heart’s motivation, in the midst of this modern interpretation of discipleship? God is not after the majority of 99.9 percent, but after a minority who actually follow Christ for His sake. He will commit Himself to a few people who are totally committed to Him for the purpose of loving Him and His Son. Nothing else matters to these people. Whether they have much or little in this world, they have no other agenda. “For the eyes of the LORD run to and fro throughout the whole earth, to show Himself strong on behalf of those whose heart is loyal to Him” (2 Chronicles 16:9). Excerpt from Chapter 2 of Reflecting His Image (ISBN 978159589005X) © 2004 by KP Yohannan, the president and founder of Gospel for Asia. This entry was posted in Reflecting His Image and tagged Christian-living, Christianity, Deeper-life, Discipleship, Dr. KP Yohannan, gfa, Gospel for Asia, Jesus, K.P. Yohannan, KP Yohannan, Spirituality on February 4, 2014 by gfaseo.